Nicholson Kovac, Inc. has hired another five professionals for its growing Digital Services department to address the agency’s escalating business in Web site development, e-mail marketing, mobile marketing and a variety of other digital services. Our digital services business is growing rapidly. We’re delighted to welcome these outstanding professionals to Nicholson Kovac’s team and are confident that they will serve our clients well. DaShaun Carter, Aris Czamanske and Charles Hoffman joined the Kansas City-based integrated marketing communications agency in late 2009. Sean Noyes was previously with Nicholson Kovac and returned this past January. Eric Miller, formerly with Nicholson Kovac’s Media Services Department, moved to the Digital Services team. “While 2009 was a down year for many advertisers, our digital services business is growing rapidly. We’re delighted to welcome these outstanding professionals to Nicholson Kovac’s team and are confident that they will serve our clients well,” said Pete Kovac, agency co-founder, President and CEO. DaShaun Carter joins the agency as a Senior Technical Architect. In that role he advises on software development, platforms and coding, and oversees day-to-day work flow of the development team. Most recently he worked as a senior software engineer for Risk Analytics LLC. He has a bachelor’s degree in computer science from Iowa State University and a master’s in business administration from Rockhurst University. One of NK’s newest developers, Aris Czamanske, joined the agency after completing his bachelor’s degree in computer science from Park University and is a certified Ektron Developer. Czamanske is responsible for determining Web requirements, business case analysis, application development, and performance and acceptance testing. Charles Hoffman joins Nicholson Kovac as an Integrator, working with both the digital developers and creative teams to take concepts and develop client-facing portions of all Web projects. Hoffman was previously an e-Newsletter developer at Allied Media and has a bachelor’s degree in economics from the University of Kansas. He is also a CIW-MSD (Certified Internet Webmaster-Master Site Designer) and certified Ektron Developer. Sean Noyes rejoins Nicholson Kovac as a Senior Developer, after a brief hiatus with another agency. With more than 10 years of professional experience in Internet-based marketing and development efforts, Noyes has deep and broad knowledge of application architecture, project management, client/customer management, Web development, user experience design, e-commerce and Enterprise-level systems planning and development. He attended the University of Alabama and the University of Missouri at Kansas City studying computer science. The most recent addition to the Digital team is Eric Miller, who started his career at Nicholson Kovac in Media Services. Miller will serve as a Digital Project Coordinator, working with NK’s Digital Project Managers and Business Systems Analysts to develop and maintain Web sites. Miller is a 2007 graduate of the University of Kansas with a bachelor’s degree in accounting/business administration. 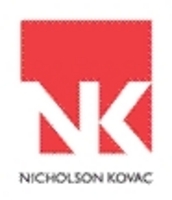 Nicholson Kovac, Inc., an integrated marketing communications company, is counted among the top independent advertising agencies in the country and serves national and global brands. At the heart of Nicholson Kovac's work is Relevant IngenuitySM a proprietary process of discovering the relevant issues long before the search for creative solutions begins. The result is smarter, more efficient communications that deliver measurable results for clients. For additional details, visit http://www.nicholsonkovac.com or follow us on Twitter at http://twitter.com/nicholsonkovac or http://twitter.com/FPeteKovac.